Beam distance of 100 meters. @AttyVette not just any survival gear Dorcy survival gear. I don’t know that I would want to.wear a strap around my head with a word on it that people could mispronounce as “Dorky”. Not the image I’m going for. @AttyVette @OnionSoup if you’re wearing the strap around your head in the proper conditions, either no one’s around to hold a regular flashlight or the band is in the dark and they can’t read it. If you’re wearing the strap around your head around town in lit conditions, they’re going to pronounce it “dorky” no matter what the letters spell. It’s got a compass in the stock, but no thing that tells time. Anyone know if the magnets will still work after Iran drops its nukes? Or is that North Korean nukes? @hchavers - The magnets will work, but the headband may need to be adjusted. I’m here to comment on the story. That’s some good writing. I’m tired but I will stay up to read the fake romance novel writeups. Bring back the Halo lantern lights. these are great when it’s time to wax the wookie. 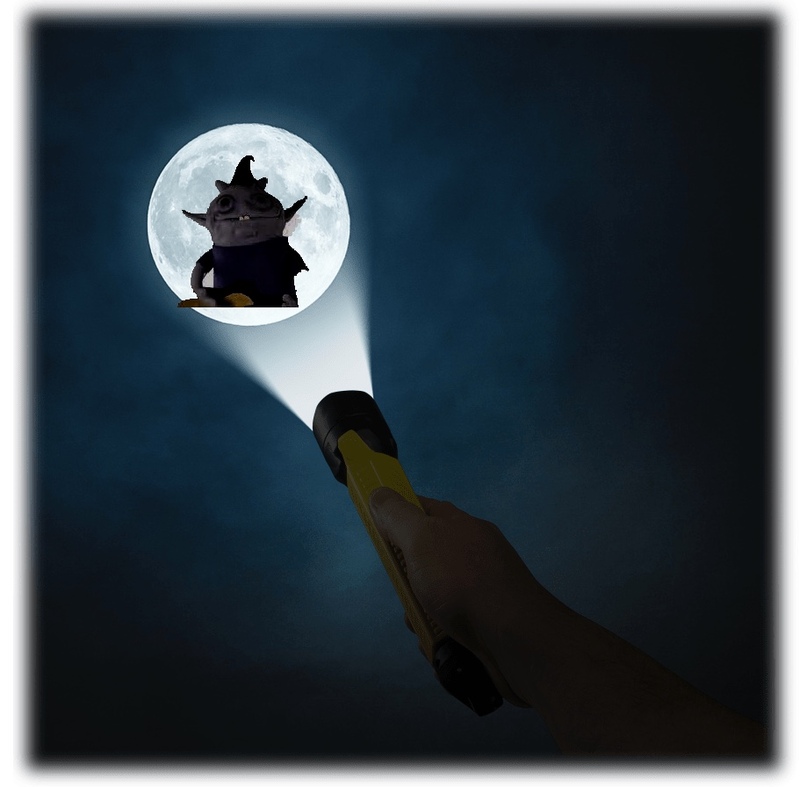 If I could use the headlamp to summon Irk I’d be in… It’s a bird, it’s a plane … it’s a puppet? I work in a poorly light warehouse and use flashlights daily. I don’t think Meh.com or the old Woot.com has ever had a flashlight that I haven’t bought. Man… I have a few good flashlights, but none of them include knives or a firestarter, twisted firestarter. And I have a great headlamp I got from Meh as well, that’s surely better than this one. But it doesn’t include magnets or a magnetic tripod, so it’s limited to head only use. I’m tempted by this despite not needing it at all. @djslack My sister says you can never own too many flashlights (her husband believes you can never own too many screwdrivers). Go for it. @djslack I remember that terrible song, but never saw the video. Anyone else notice that the members of the band, periodically, look at that attention starved singer with disapproval? I feel em. @RiotDemon that is terrific! It could be real. @djslack I’ve kept it in my saved videos forever. I’m still amused watching it years later. Does the Firestarter get stored in the fashlight like the multi-tool? Tempting, but the two things a flashlight really needs are the ability to find it in the dark when you haven’t needed or thought about a flashlight for a year, and for it (and its batteries) to still work when you haven’t needed or thought about a flashlight for a year. I suppose both of these problems could be solved by keeping the flashlight in the fridge. @ravenblack You’d better check; I think you left the (flash)light on in the fridge. If I had a plate in my head, I wouldn’t even need the head strap. Funny, I too was snatched by eagles as a baby. If this had a paracord bracelet I’d be all over it. @hey_zeus that’s a funny gif. What’s it from? @goldnectar @hey_zeus Men in Hope. @hey_zeus @RiotDemon geezus f’n cryst, that woman…now I have to watch this movie. It’s not even a choice. @goldnectar @hey_zeus I’m disappointed the big chalk cloud wasn’t in the movie. @goldnectar @RiotDemon Same here. That is like the ‘punch line’. “It’s what the Pros use.” I’m not a pro so I can’t use these. Meh. At more than 30 bucks each on Amazon, it is not surprising there are next to no reviews since it (one of them) appeared on Amzaon in 2015. Still, $28 for both seems a bit high for Meh. We need a few of those lanyard thingies for our existing menagerie of flash… lights and drives. Or do you mean mehyards? @blaineg thx, haha, no, we need the short type and with the tiny poly loop for really tiny lanyard holes typically in flashlights and flash drives. I just can’t wait for an emergency now, so I can set up my tripod flashlight system, and jimmy open some wine with my multi-tool. To watch the emergency, I can’t actually help or anything. @waswooted13 Same here… but at least we will be ready to do nothing?! Head lamp is extremely useful when interrogating your wife.